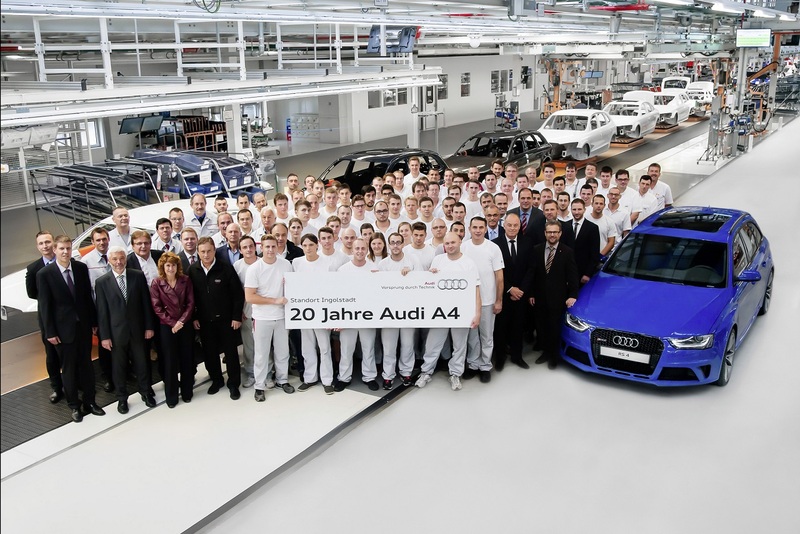 German auto giant Audi, during celebrations marking the 20th anniversary of the A4 brand, officially announced that they are preparing for the launch of the next-generation A4 in 2015. Audi says that as many as 1,300 new machines are being installed in the body show, including robots and automatic welding machines, to begin with its construction at a factory in Bavaria, Germany. This will be the fifth-generation A4, which will be built from the Volkswagen’s MLB scalable model, implying that the new A4 will carry on with a longitudinal front-engine and all-wheel-drive layout. This configuration has been deployed in all the four models till date since its launch back in 1994, along with the 80 range it replaced. Over six million A4 models have been manufactured by Audi in the past 20 years, with 235,582 units sold, edging out the Q5 SUV.